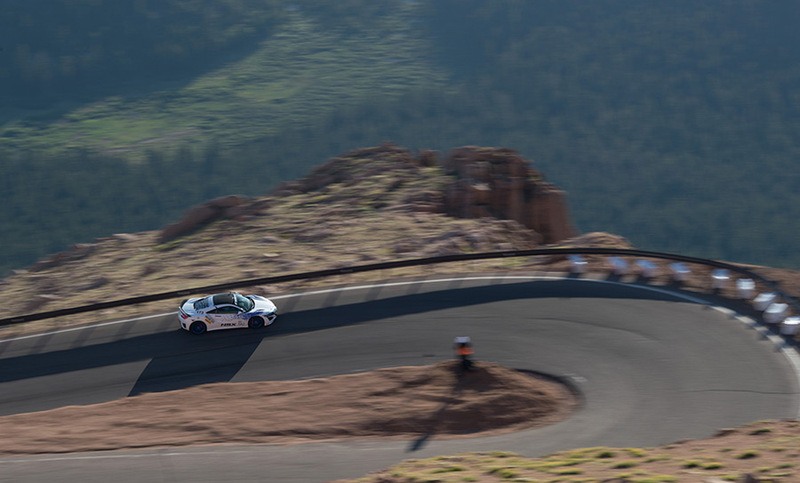 Jun 26, 2016 – PIKES PEAK, Colo. 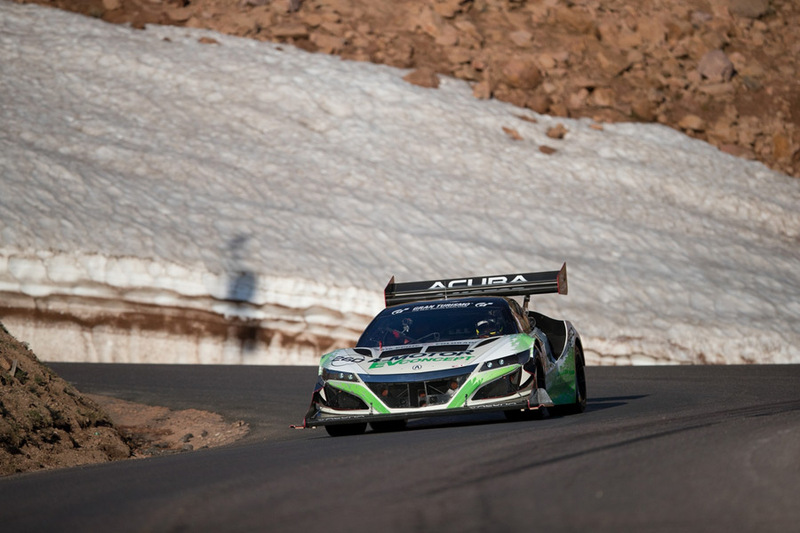 The recently-launched 2017 Acura NSX claimed victory today in its North American racing competition debut, climbing the 14,115-foot pinnacle of Pikes Peak and clinching first place in the Time Attack 2 class at the 2016 Broadmoor Pikes Peak International Hill Climb, the 100th anniversary of the running of America’s second oldest race. 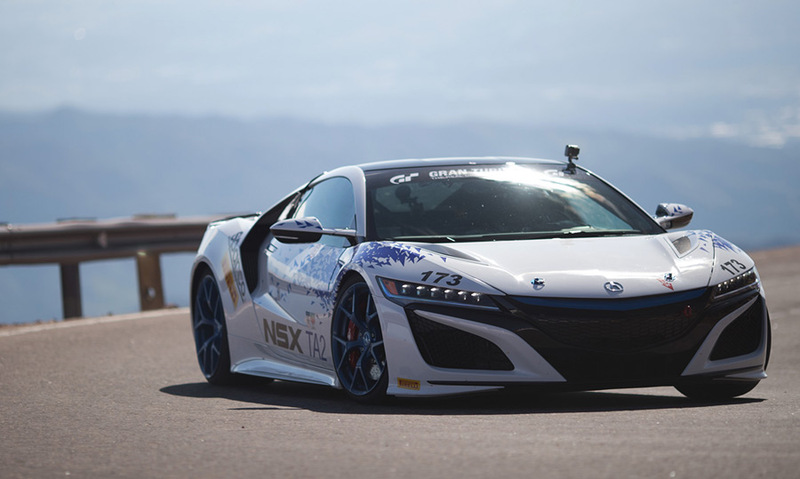 The production-based Acura NSX is powered by Acura’s revolutionary three-motor Sport Hybrid Super-Handling All-Wheel Drive™ powertrain (Sport Hybrid SH-AWD®), the first electrified torque vectoring powertrain in the world of exotic sports cars. 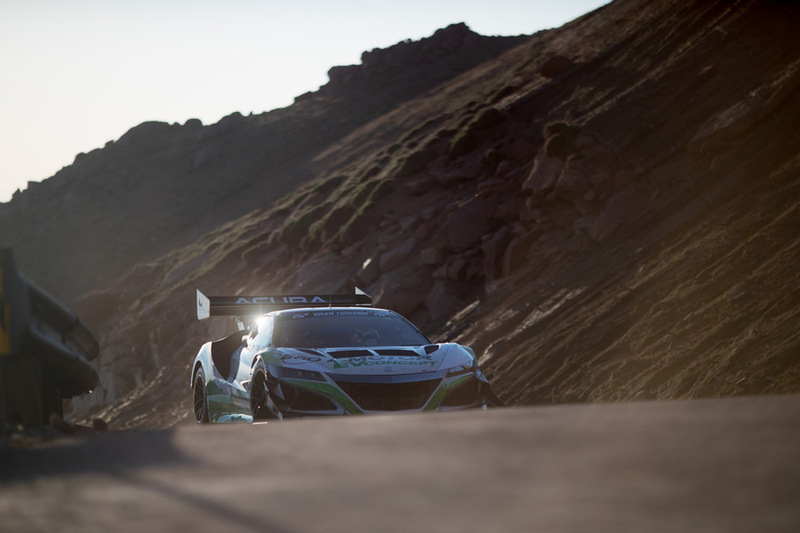 With added required safety equipment for competition, the NSX negotiated the 12.42-mile course in a time of 10:28.820 to win the Time Attack 2 class of the Broadmoor Pikes Peak International Hill Climb. 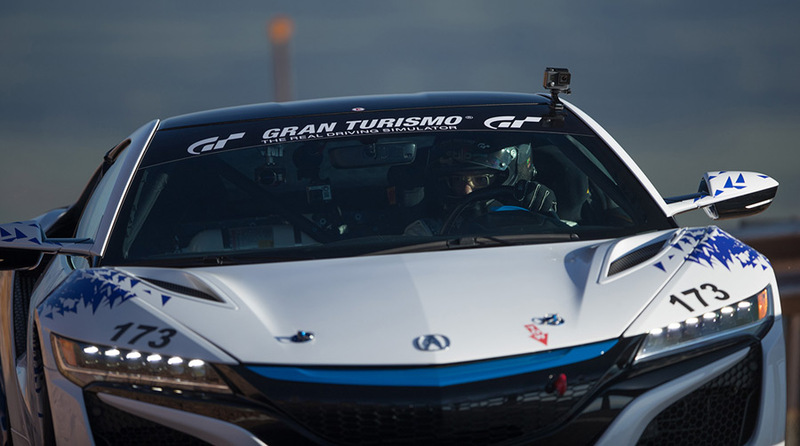 Nick Robinson, North American R&D team member and engineer in charge of the next-generation supercar’s dynamic performance, drove the production-based Acura NSX to victory. 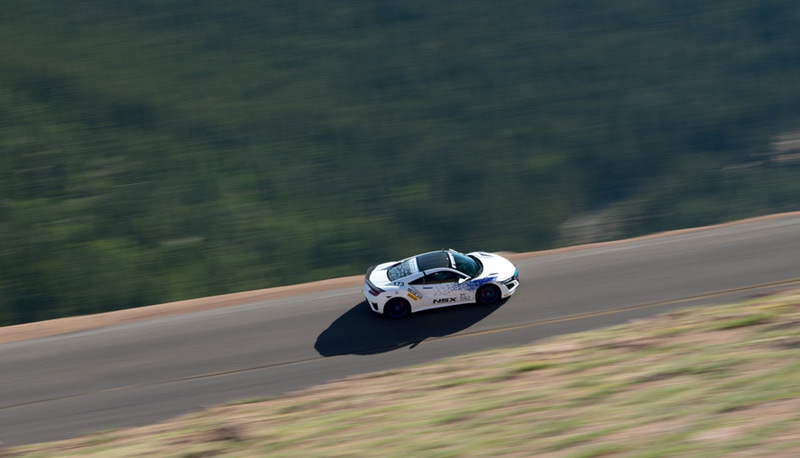 Nick is also the reigning PP250 winner from the 2015 Pikes Peak International Hill Climb. 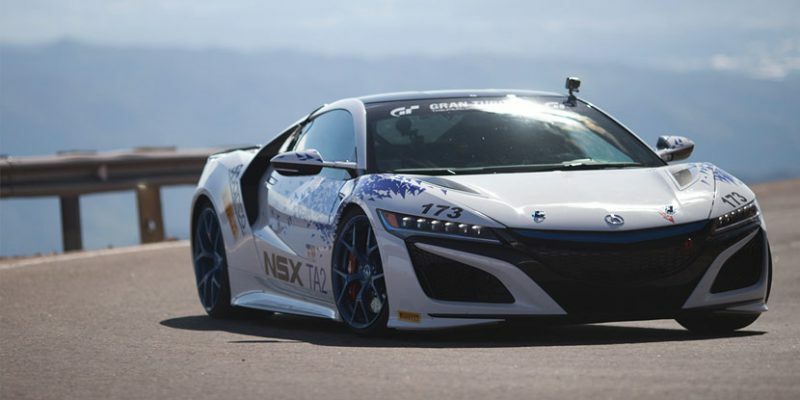 Two additional Acura vehicles – the NSX-inspired 4-Motor Acura EV Concept, driven by Tetsuya Yamano, and a modified 2017 Acura NSX, driven by Nick’s brother, James Robinson – also campaigned in the race. 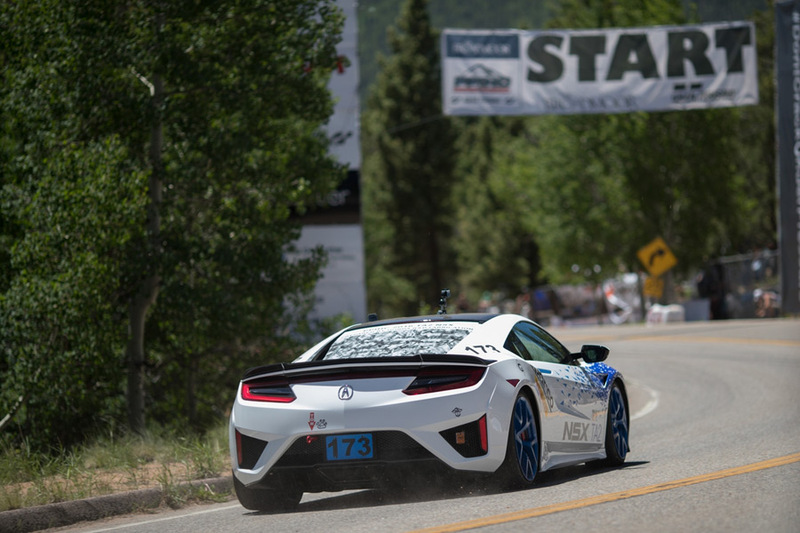 Yamano finished second in the Electric Modified class in the NSX-inspired EV, posting a time of 9:06.015 (79.119 mph), which made him the third fastest on the overall charts. The Acura EV Concept’s all-electric SH-AWD® powertrain boasts peak output three times the total system output of the CR-Z prototype that ran last year, featuring a world’s first technology that enables four-wheel independent torque allocation. Consumer information is available at www.acura.com. To join the Acura community on Facebook, visit facebook.com/Acura. Additional media information including pricing, features and high-resolution photography is available at acuranews.com/channels/acura-automobiles.